Getting my office under control has been something I've seriously struggled with. It slows down my shipping, all over productivity and my motivation. In December (or was it November) I decided to try to get puppy to a better state. I mean look at this mess! It's only half of my desk too! To make shipping easier, quicker and less painful I asked santa for the Demo 4XL printer. 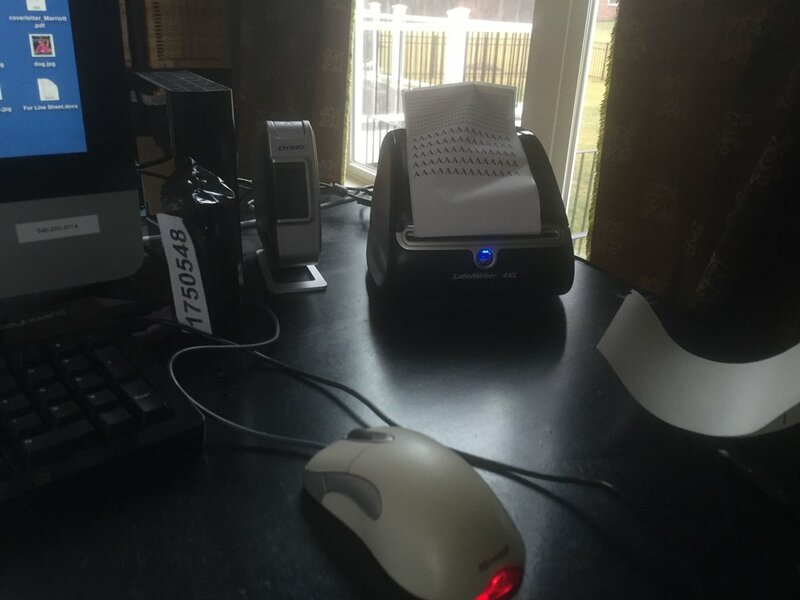 My in-laws beat santa to the gift and they got my super easy and quick printer! It will be so nice when I ship out all of out new orders today! It will be a 1 click print instead of finding my shipping labels, making sure they are right side up in the printer, printing those first; then printing the invoices and then remembering to use the other half of the shipping label (2 are on a sheet) when the next order comes in. I feel like she (he?) needs a name. Right now I am just calling her my precious. What are you doing differently in 2015 to get your business organized?